Whether it’s a dog groomer or the veterinarian, leaving your precious pet in another person’s care can be nerve-wracking—for both you and your furry friend! If you’re lucky, you can find one reliable animal care center that handles all your pet’s needs. For residents in the Birmingham, AL, area, that place is Grayson Valley Pet Clinic. This full-service veterinary clinic offers pet health care, dentistry, grooming, and boarding services. Their state-of-the-art surgical facilities include the most advanced equipment, from lasers to modern inhalation anesthesia. They also offer in-house laboratory testing, X-ray, EKG, ultrasound, and endoscopy equipment. 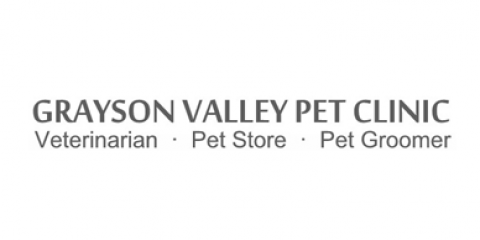 In addition to modern facilities, what sets Grayson Valley Pet Clinic apart is the passion of their employees. From the veterinarians to the pet groomers, everyone on their team is a true animal lover. They will treat your pet as if it were their own—and they know exactly how to calm nervous visitors. For your convenience, this pet health center also offers a large variety of animal nutrition goods and supplies. Their specialty pet foods include options such as diabetic and weight control fare. Their on-site shop isn’t all about serious stuff, however—they also provide pet toys and treats to keep your cat or dog happy. To request an appointment, contact them online or call them directly at (205) 856-3804. While appointments are preferred, they also accept walk-ins. Of course, if your four-legged friend is facing a medical emergency, don’t hesitate—come in immediately and the veterinarians will be happy to see you promptly.